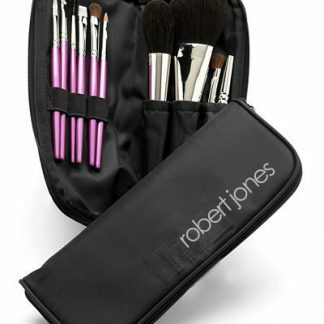 Carry your makeup like the pros! Our exclusive custom palette- allows you to mix and match all your favorite choices of blush, bronzer, and eye shadow in this convenient container. The right amount of depth in the magnetic tray- allows security in traveling with your choices- and you can change them out whenever you want! 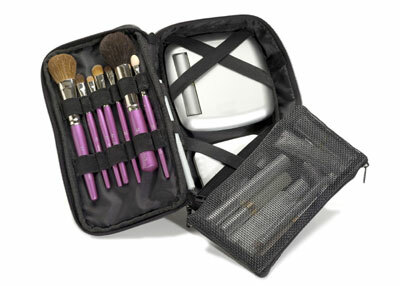 zip around travel brush case fits a basic brush set comfortably. Easy to wipe clean fabric . 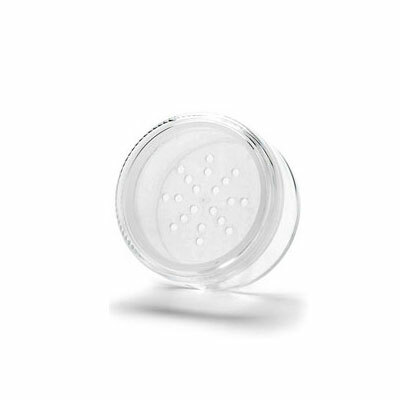 individual powder jar; with sifter; clear w/ clear lid. 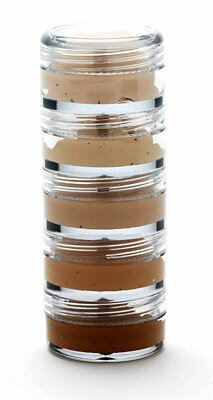 Holds 28 gm./30 ml/1 oz.